Upon logging in to InWorldz, I typically will scroll through all my group announcements and see what's new out on the grid and where I can go explore. This time, my eye was caught by an announcement from ~TMD~ Tastefully Made Designs. Not only do they provide a gorgeous shopping experience in a large elegant shop floating high above Kismet, but there are some lovely new shiny jewels for you to enjoy, necklaces, sets, crowns, rings and wedding bands, as well as intricately carved medieval and renaissance style furniture. 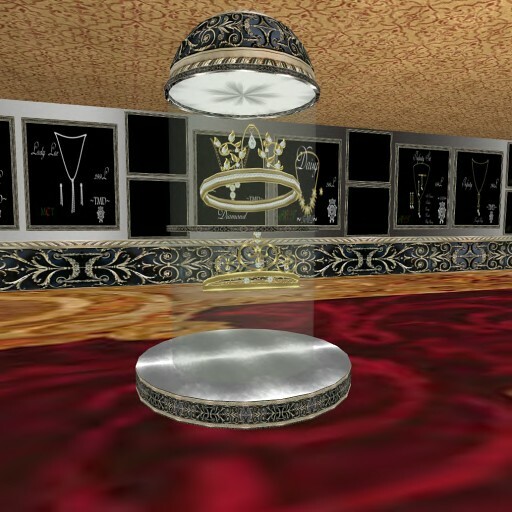 While browsing the shop, Chas Dezno, the lovely designer of the jewelry, invited me to the ~TMD~ group for updates, and also let me know that the main Kismet sim that their shop floats above at 2000 meters would be opening in about a month. I snuck down below to peek around and saw a few beautiful buildings in progress, a fairytale perfect cottage, a castle, and the most royal four poster bed with beautiful brocade coverlets. I made a mental note to go back there when they finally open! 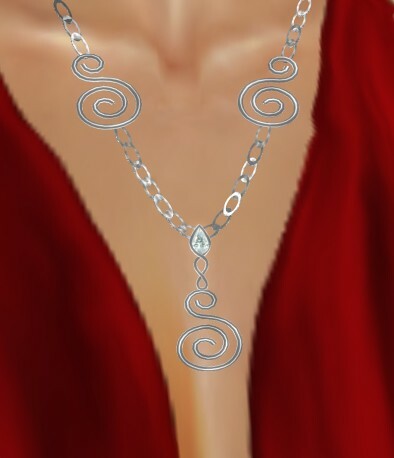 Chaz also announced that today for Solstice, they have discounted the Fae jewelry sets to half price! There are some lovely colors to choose from, but I am showing off the Cerise which caught my eye and had to go home with me. Also there, I fell in love with the "April" necklace which Chas will be making earrings to match very soon. I hope you're able to go see this wonderful new shop! 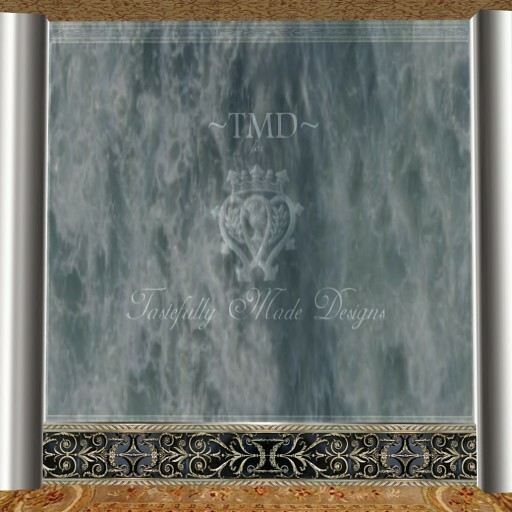 Location: ~TMD~ Tastefully Made Designs on Kismet. You're welcome! She just finished the earrings for the set today and I think I zoomed there so fast she didn't even know what hit her. Love them! I went home with both the gold and silver. Oh, and I hinted a circlet would be so lovely for the set... she says it's in the works! Wheee!